In recent years the city of Rochester has been undergoing an ambitious and highly praised regeneration project, which is taking what is already one of the South East’s most desirable historic locations and giving it a wholly sympathetic 21st century makeover. One of the most important parts of the programme is the flagship Riverside development, which stretches from Rochester’s famous bridge, all the way to Doust Way to the South. Sited on brownfield development land, the main purpose of the project is to create new homes and jobs in the Medway area. However Medway Council, intent on utilising the area to its full potential, have also allowed for the inclusion of a range of publicly accessible open spaces, as well as retail and leisure facilities. The project will also see the improvement of the ‘Gateways’ between the River Medway and Rochester’s historic high street. With a 15 year development span, and serious investment from both Medway Council and Homes England, this exciting project will see the creation of nearly 1500 new homes (25% of which will constitute affordable housing) alongside business and leisure facilities. 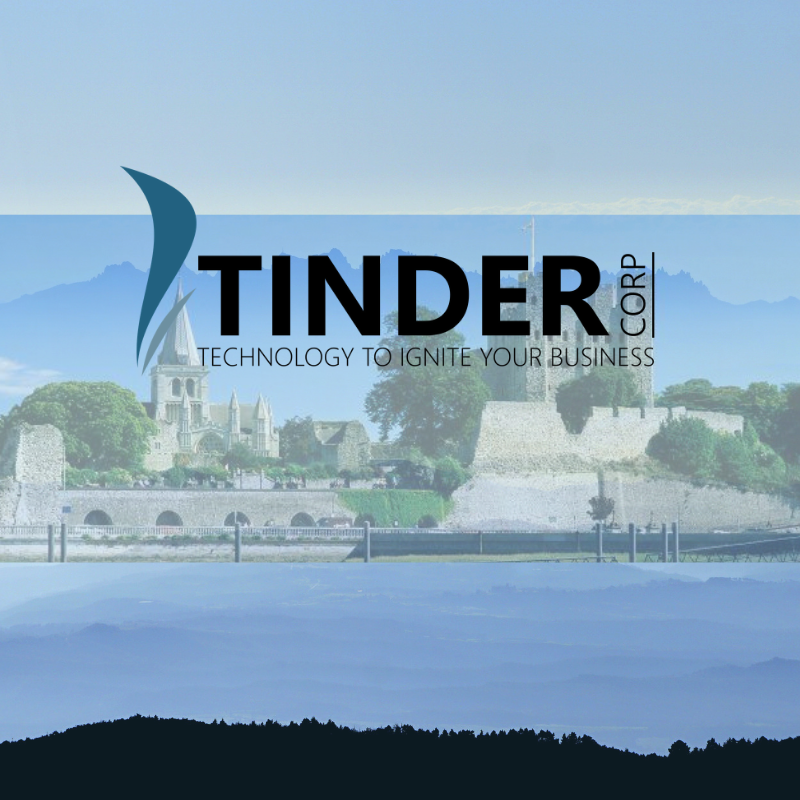 In short, this development will breathe new life into the Medway area, and Tinder Corporation; under the auspices of one of the primary building contractors, Countryside Properties, have been engaged to help bring the latest technology to the development’s future residents. Although we’ve worked on large scale jobs before, the Rochester Riverside development holds a special place in our hearts as a vital and exciting part of the continued development of our home county, Kent. We look forward to bringing the site ‘online’ and we can’t wait to see the outcome of this very special project.